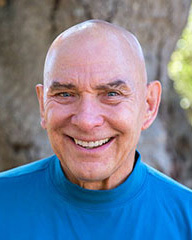 G. William Domhoff, who goes by "Bill," is a Distinguished Professor Emeritus and Research Professor at the University of California, Santa Cruz. He received his B.A. at Duke University in 1958, his M.A. at Kent State University in 1959, and his Ph.D. at the University of Miami in 1962. He has been teaching at the University of California, Santa Cruz, since 1965. In July 1993, he was promoted to Distinguished Professor, and in July 1994, he took advantage of an unexpected opportunity for an early retirement so he could devote more time to research while teaching one or two courses a year. In 2007 he received the Constantine Panunzio Distinguished Emeriti Award, which honors the post-retirement academic contributions of University of California faculty members. Four of his books are among the top 50 best sellers in sociology for the years 1950 to 1995: Who Rules America? (1967, #12); The Higher Circles (1970, #39); The Powers That Be (1979, #47); and Who Rules America Now? (1983, #43). More recently, he is the author of The Corporate Rich and the Power Elite in the Twentieth Century: How They Won and Why Labor and Liberals Lost (2019); Diversity in the Power Elite (3rd ed., 2018, with Richard L. Zweigenhaft); Who Rules America? The Triumph of the Corporate Rich (7th ed., 2014); The Myth of Liberal Ascendancy: Corporate Dominance From the Great Depression to the Great Recession (2013); The New CEOs (2011, with Richard L. Zweigenhaft); Class and Power in the New Deal (2011, with Michael Webber); and The Leftmost City (2009, with Richard Gendron). In 2007, Bill received the University of California's Constantine Panunzio Distinguished Emeriti Award, which honors the post-retirement contributions of UC faculty. In April 2013, Bill's research was the focus of a plenary session at the annual conference of the Urban Affairs Association. For a complete list of Bill's publications in sociology, click here. For contact information, click here.